Yes, it finally happened. 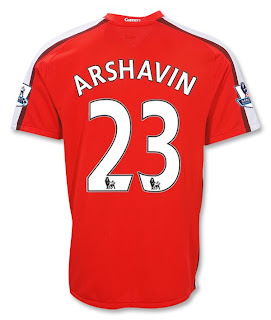 It seemed that prying Andrei Arshavin from Zenit St. Petersburgh was about as hard as ending the Cold War. Well Gooners, you finally got your man; and before you even see him on the pitch you can get his official Arsenal Home Soccer Jersey. And it's on SALE!